The Western Australian Museum features the rich and fascinating history as well as the natural diversity and cultural heritage of the country. Established in 1891, the museum continues to attract millions of tourists thanks to its outstanding natural, social and historical collections. All the exhibits you will find within the complex are on par with the requirements of authenticity, a mandatory quality in this digital age. Featuring stones, bones and artefacts that allow you to explore 12 million years of Western Australia’s history, the museum is a must-see attraction regardless of whether you’re looking for an educational trip or are passionate about archaeology. In addition to its permanent and touring exhibits, the Western Australian Museum in Perth also includes the Discovery Centre. 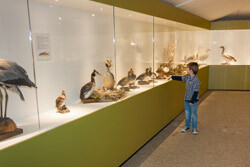 The centre is designed to help visitors learn more by interacting with the certain items in the museum’s collections. 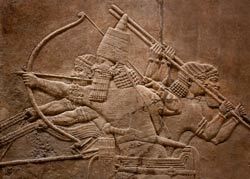 In case you happen to be in Perth during the summer months, then don’t forget to check out these amazing touring exhibits such as the Dinosaur Discovery, Cretaceous creatures and interesting insects as well as Afghanistan: Hidden Treasures. Until July 18, the museum invites its visitors to meet the stars of the Dinosaur Discovery via the Cretaceous Pop-Up Bar. You can visit the Western Australian Museum in Perth from Monday to Sunday between 9:30 am and 5 pm. Even though the museum doesn’t charge an entry fee, there is a suggested donation of $5. It is important to note that some of the exhibitions, particularly those on tourism, may include admission fees. Therefore, visitors are invited to check out the museum’s listings for more details. The Western Australian Museum in Perth is located in the Perth Cultural Centre, James Street, Perth, Western Australia. However, the museum can be accessed from multiple locations. For more information on how to get to the desired sections of the facility, you should contact the Western Australian Museum’s official website. You can get to the museum by either public transportation or via a rented car or coach. We can arrange transport for groups of any size to the Western Australian Museum, please call or send us an email for more information.